Tom counsels clients on the strategic protection, licensing and enforcement of intellectual property rights. 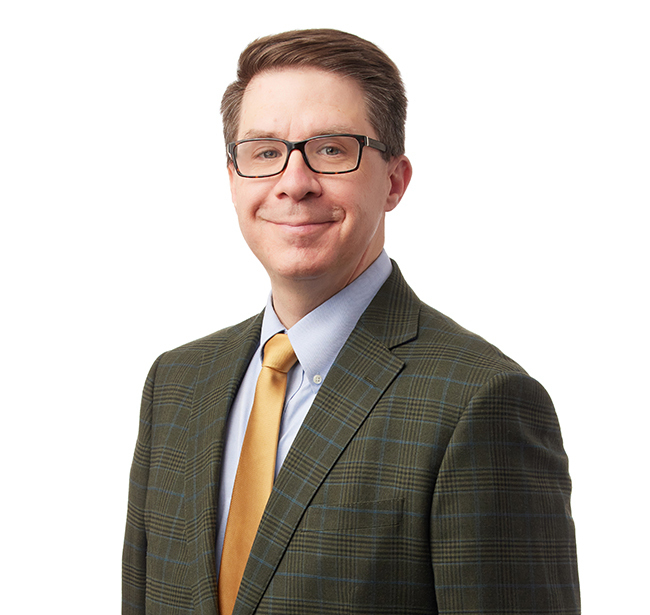 His experience includes preparing and prosecuting U.S. and international patent applications and securing patent rights for clients in construction, printing, manufacturing and computer-related technologies. Tom supervises and conducts intellectual property due diligence investigations for corporate mergers, acquisitions and refinancing. He also drafts and negotiates patent licenses, nondisclosures and joint development agreements. As a member of the firm’s Intellectual Property Practice Group, Tom represents several clients in the industrial manufacturing industry, developing and participating in patent review committees charged with strategically evaluating inventions for possible patent prosecution. He advises clients on policing and protecting copyright, trade dress, trade secret, trademark and patent rights. Tom is active in the Wisconsin Association of Mutual Insurance Companies (WAMIC), presenting to members regarding developments with Insurance Data Security Model Law.